If you run a scrap yard, or any kind of vehicle repairs or scrappage centre, we deliver the perfect solution to your problems. When you find space is becoming a bit of a squeeze, you need to start thinking intelligently about how you are going to solve this situation. 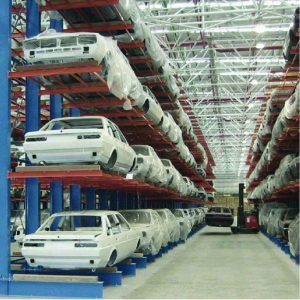 One such solution comes in the form of racking, mainly cantilever racking, designed for industry wide use to solve all issues concerning space or ease of product rotation. They can be designed to fit your environmental needs, and we have a team that can fit it safely and secure. A quick explanation on the genius of this storage unit; if you have twenty vehicles in the area on the ground, and just supposing for arguments sake that the vehicles them selves are around four metres in length and about two metres in width. You are then going to be losing about 8 metres squared of ground to storage of that vehicle just sitting around waiting for you to either work on it or remove it. If you times that by the 20 vehicles in your area, that makes 160 square metres of space not being utilised to the best uses needed. When you employ a racking system to solve this issue, you can go three to four levels high with the cantilever racking system depending on your needs and requirements. So for instance you have a five column, four row steel racking solution installed, you are then only covering forty metres squared, freeing up one hundred and twenty square metres for you to use, an idea worth thinking about, no? As you can see, considering this particular form of storage only makes sense to you when the time comes to increase your ability to store more effectively rather than approaching it with a ‘just stick it there!’ attitude. The cantilever racking approach to storage not only has benefits to your storage facilities, but has an added bonus of being less of a health and safety issue. The definition of cantilever arms are freestanding racks that have one or more vertical supports with multiple horizontal loads carrying arms attached to the vertical support. 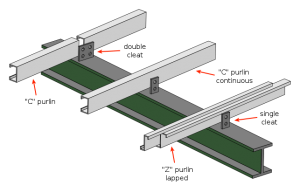 Often, brace sets may be installed in between the vertical supports to enhance the load carrying capacity of the cantilever-type arm. Thus, the three essential parts of these arms comprise the vertical support, the horizontal arms, and the brace sets. These arms have open, easily accessible storage shelves that enable easy placement and removal of stored items. The uses of these arms are not limited to industrial units. They are employed in locations as varied as construction sites, mining units, warehouses, lumber units and so on. Such arms are most commonly used for storing items such as plywood sheets, rods, logs, piping and tubing, steel bars, and so on. In short, any long and awkwardly-shaped product can be stored in such arms. If manufactured using high-quality materials, these arms can prove to be the workhorses of any site or facility. The best part about such arms is that they can be custom configured according to the demands of each application. And, once an arm is installed, it is possible to change the configuration in a few simple steps. However, it is crucial to note that such a task needs to be carried out by a professional to ensure that the structural integrity of the arm is not compromised. The user might choose to place these arms indoor or outdoor. Depending on where they need to be used, these arms must possess special coatings and material properties. A powder-coated arm, for instance, is ideal for use in rough and tough environments. It will not corrode or get scratched easily. When ordering cantilever arm systems, your manufacturer or supplier will most likely suggest the right configuration after taking into consideration the nature of your operations. However, here are some basic things that you might want to familiarize yourself with before you consult with manufacturers, this aspect the most basic one and a wrong judgment at this stage could cause damage to the objects being stored. For instance, the spacing of the arms shouldn’t be so far apart that load deflection occurs. If the arms are too short, you might have trouble placing objects correctly on the racks. If the arms are too long, you will end up wasting space, and accessibility might become a potential problem. The height of the vertical supporting beam. The upright arm of these racks needs is as tall or short as your application requires. For instance, if you are using automated forklifts loading and unloading, you could opt for longer vertical beams. In your home, if you do not have right kind of support for the structure, then you may have a lot of problems with it. 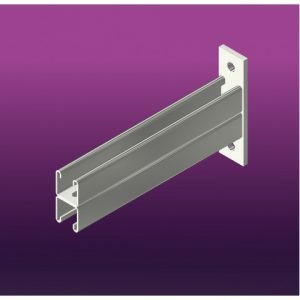 In order to have that proper fixing of your structure, you can always try using a different type of purlin clips that are available in the market. But when you choose these clips then make sure you choose it wisely to get the best result. For the best result, I am suggesting these tips that can help you in making the right selection. The clip can have a lot of tension or stresses on it and in some cases, it may bear a lot of a load on your structure. That is why it is extremely important that you choose it on the basis of its strength. If it is not strong enough then it may get damaged and that can be very risky as well for you. So, make sure you keep this thing in your mind. There may be different type of clips available for different purposes. It can include beam clip, flange clip, suspended ceiling fixing, threaded rod fixing and many more. Also, these different clips can have many more features and sizes. So, when you choose it then make sure you choose it wisely according to your specific needs. This is probably the one of the most important things that you need to check while choosing purlin clips. These clips may look strong to you, but you may never know its exact strength unless you test it mechanically. This is really a no brainer, you get what you pay for! so in choosing a good brand, you will not have to worry much about these issues. You can get better quality and they will also do testing for strength and other factors as well. Therefore, it is advised that you choose a reputed brand while choosing these clips.